What Sort of a Blogger Are You? So, I’ve read all the books on How to Promote your book and my head is spinning. I have been going back through them all to make more notes – just like an exam! 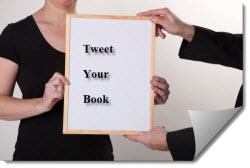 Although I have written a book on “How to Tweet Your Book” Twitter is just one strand of a marketing campaign. I use Google Plus a lot and recently bought a book after reading a great blog by Megan Denby which I found on a Google Plus Community for authors. Blogging seems to be a good way to promote your book without being overtly salesy. “But what do you write in a blog?” I kept asking myself. This question has been hanging over me for a while now, then last week I tried out a new twitter tool and quickly fired off a blog. I literally typed it in the heat of the moment. I posted the blog on twitter and a few Google Plus communities and within hours had received the highest number of views to my blog in one day. Over that weekend, I gained 202 new twitter followers to my @tweetauthors account from a combination of following about 20 people (spread out in chunks -it literally takes me seconds each time) posting my blog to Google Plus, and using the new twitter tool, Nestivity, which was the subject of my blog. Most of my new followers are authors (my target market for the book as opposed to my main businesses) as I have been very precise in my following. I suddenly realised that, without thinking, I had fired off the very blog that I had been struggling with for weeks. If I had sat down to purposely write a blog to promote my book, it probably wouldn’t have happened. I find that I write best when I am in the heat of the moment, often when I have better things to do, but my head is so full of what I want to write that I just have to empty it before I can get anything else done. How do you blog? Do you blog regularly at set times or do you fire off a blog whenever you get the inspiration?